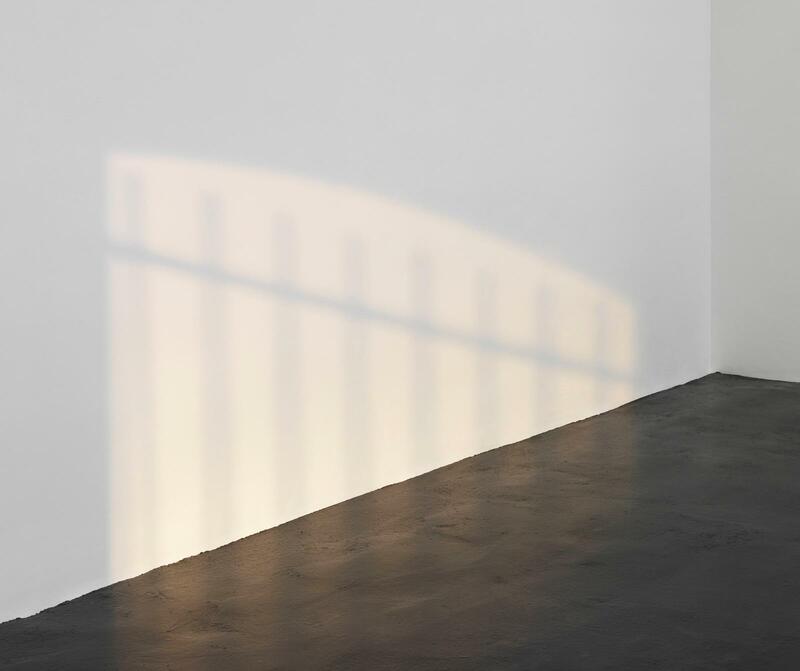 With Late light (2016), Olafur Eliasson continues to develop ideas first explored early in his career in Window projection (1990) and revisited in Yellow double hung windows (1999) and Double window projection (2000). This new work comprises two beams of simulated daylight that shine into the space, introducing shadows cast by the window. The multiple light sources create a subtle impression of spatial depth.